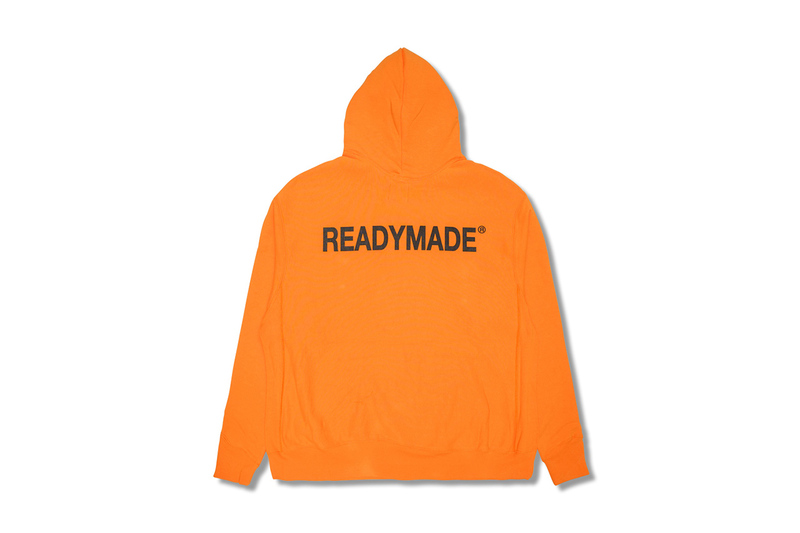 Japanese label READYMADE is gearing up for HYPEFEST this season with an exclusive capsule collection, all of which highlight its mastery of product branding. First from the collection is a READYMADE hooded sweatshirt, available in a pair of orange and black renditions. The front holds a READYMADE signature graphic in black and multicolor respectively, while the rear shows off a bold logo placement across the rear torso. A pack of white tees, where the logo and packaging was designed in conjunction with Girls Don’t Cry lead Verdy, will also release, of which feature READYMADE printing on the right breast and HYPEBEAST branding on the inner neck. Lastly, a collaboration with Timberland will see the light of day, retaining the iconic Timberland Wheat colorway with the slight update of a 3M reflective ankle cushion. Within the reflective material, branding for READYMADE, Timberland and HYPEBEAST is visible depending on the specific angle and lighting condition. Be sure to pick up these READYMADE items on October 6-7, and visit the official HYPEFEST website to learn more about the festival.